Awebody Slimming Cream does absolutely nothing to awe my body or me. So I give it a measly 1 out of 5 stars. There’s really just nothing to like with this slimming cream. The whole thing is confusing and gimmicky and severely lacking in quality and results. It was originally $24.99 but as I was finishing up my review, the price bumped up to $29.99. I don’t think either price is worth it! It’s honestly just a grossly overpriced lotion. There’s no website, only an Amazon sales page, which I hate. The application process is annoying and takes forever. The cream itself smells bad and is so incredibly GREASY. The Amazon page and actual product are written in AWFUL English and is hard to make sense. It’s also super scammy and gives ridiculous before and after pictures and claims you can lose a ton of weight. Don’t fall for the bologna. My only results were softer skin, which is the bare minimum of any regular lotion. So to me this is just a super expensive, cumbersome, smelly lotion. Don’t waste your money on it! Awebody Slimming Cream is a greasy feeling mixture between a cream and a lotion. It has an off-white, almost pale yellow tint to it. This is one of the weirdest application processes. Not to mention the directions are written in pretty bad English. Also confusing because on the Amazon page it says you can use it on your abdomen, legs, hands, and body. 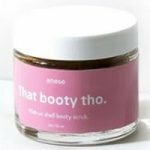 I personally used it on all my problem areas (belly, booty, legs, and arms). I’m NOT a fan of this whole application process. It’s just weird and time consuming. I don’t like having to wet down body parts and then massage in cream for an eternity. It basically 1 – 2 minutes it’s dry. HOWEVER, it is SO greasy. So it feels like it never dries. Yuck, I loathe uber greasy creams. And you want to wash your hands afterwards because they will stay sticky and greasy. This cream smells gross to me. The smell is off putting and reminds me of just plain ol’ generic lotion. It’s like the kind that’s in restaurant bathrooms or gym locker rooms. The smell is completely gone a few hours after applying this cream. It starts to fade about 30 minutes after applying it. Short term results aren’t completely MIA. I did notice that my skin feels softer and more hydrated. I really saw no long term results with this slimming cream. I don’t see any improvement at all in the appearance of my cellulite. I also don’t have any weight or fat loss to speak of, but I didn’t exactly have high hopes for either. The description and pictures on the Amazon page are pretty ridiculous. They have before and after pictures of women who have lost ample amounts of weight and body fat. And images that show extreme changes in skin tightness. The slimming cream says it has effects of losing weight, tightening, and slimming. It says it effectively dispels abdominal obesity, adipose bead, striae gravidarum, and sagging skin, and is “suitable for the fat person” (…what a lovely quote). These claims are so silly and scammy. Don’t be misled or fall for these products promising the world. No cellulite cream (as of right now) is going to melt away pounds and make you look like you got weight loss surgery. I hate companies that are 100% misleading. Awebody Slimming Cream has a total of 6 ingredients, which are: Grapefruit, Lemongrass, Juniper Berry, Jojoba Oil, Emodin, and Glycerin. Interestingly, on the Amazon page, it promotes ingredients that aren’t even in the lotion… such as Castor Oil and Fennel. So I’m not sure what the deal is there! It also mentions multiple times on the sales page that this is a “hot slimming cream”. But none of these ingredients induce the typical hot/tingling effects that other hot creams do such as menthol. Also, I got zero of these sensations while using it. It’s definitely just a normal cream / lotion and doesn’t heat up. Any who, let’s talk about some notable ingredients that are actually listed on the bottle. Grapefruit contains a high amount of bromelain, which is an enzyme that has anti-inflammatory effects and may aid in the break down of cellulite. Lemongrass is a powerful antioxidant that may help minimize cellulite, tone the skin, and support the health of cartilage. Juniper Berry is an anti-inflammatory essential oil that’s an antioxidant with antiseptic, astringent, and stimulating properties. These properties help promote healthy, clear skin and also increase blood circulation. Jojoba Oil is thought to regulate sebum production, which is responsible for keeping the skin naturally hydrated and soft. I originally bought a 3.5 oz bottle on Amazon for $24.99. This works out to be $7.14 per ounce. However, the price has been updated since I purchased it. Now it’s $29.99 per bottle. This pushes the cost per ounce to $8.56. I already thought it was overpriced when I bought it and now even more so! I don’t think the price is worth it at all. It’s just a cheap product and feels really scammy. You’re basically paying $30 for a regular lotion. I can’t find an actual website for Awebody, which is super concerning. I don’t like companies that strictly sell from an Amazon page and don’t have any other backing. That being said, I also can’t find any type of guarantee for this product. To buy Awebody Slimming Cream, click here.